On February 21, 2018, Kessler Topaz filed a lawsuit concerning the alleged manipulation of the Chicago Board Options Exchange (“CBOE”) Volatility Index (“VIX”) and certain financial instruments whose pricing is linked to the VIX. VIX is a widely tracked index that measures the thirty-day implied volatility of the financial market and whose pricing is based on the real time pricing of put and call option contracts relating to the S&P 500 Index. 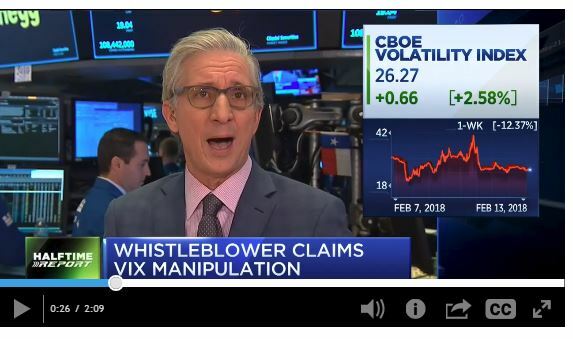 By design, VIX is highly susceptible to market manipulation. Since Kessler Topaz filed the initial complaint, several similar actions were filed. The additional filed actions concern, among other things, VIX options, VIX futures, and exchange-traded funds or exchange-traded notes linked to the pricing of VIX futures. Plaintiffs in these actions allege that certain financial institutions and trading firms participating anonymously at CBOE-sponsored special auctions in S&P 500 Index options, which determine the pricing of the VIX-linked instruments, caused artificial prices to be set for such instruments by exploiting weaknesses in the auction system and CBOE’s failures to act. Plaintiffs assert claims against CBOE and John Doe defendants, among others, on behalf of nationwide classes of persons and entities which transacted in VIX-linked financial instruments, for violations of the Sherman Act, the Commodity Exchange Act, and the Securities Exchange Act. On June 14, 2018, the Judicial Panel on Multidistrict Litigation consolidated the actions and transferred them for pre-trial purposes to the Northern District of Illinois before Judge Manish S. Shah. If you have transacted in any of the aforementioned financial instruments, and would like to learn more about this litigation, please fill out our online form, or contact us today at 888-299-7706 or by email at info@ktmc.com.